Alex TheBackpackr.com - Woohooo! Glad to hear a friend won the competition. Shows you’re made of good stuff. Keep it up, and win more contests, both locally and internationally. Shen - great stuff mate. good challenge and it was good to know you in person! 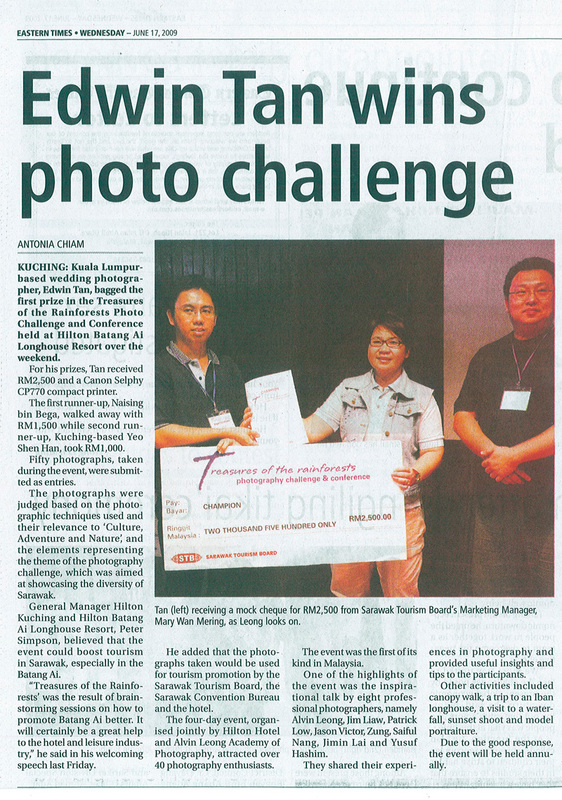 Alvin Leong - Congratulations Edwin!!! its was an awesome shot! The moment i saw it, i knew it was an outright winning shot!